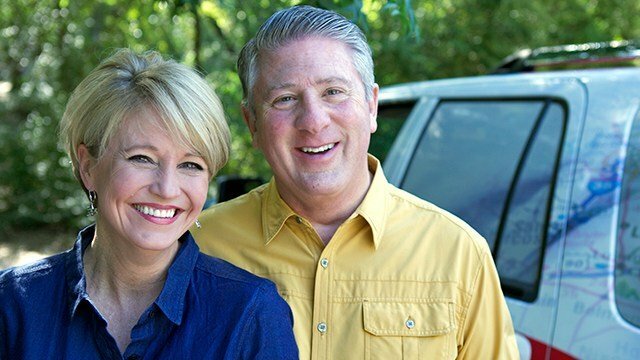 Hop in and travel with Bob and Kelli Phillips on their road trip to discover the uplifting stories and interesting places of the Lone Star State. They’ll introduce you to oddball collectors, thought-provoking artists, and everyday heroes making the world a better place. And of course, they’ll stop at every interesting cafe and Texas landmark along the way because, for some people, the journey IS the destination. Watch a preview of the new season and the backstory of "Texas Country Reporter" from producer Bob Phillips below. It's funny how a job can turn into a career. I was a "real" journalist once, one of those guys who wrote and reported news stories about fires, wrecks, city council meetings and school board elections. I even spent time as a news and sports photographer, traveling for several years with The Dallas Cowboys and even shooting on the sidelines for NFL Films. This was all exciting stuff, but my heart wasn't in it. One man ruined me when it came to "real" reporting. His name was Charles Kuralt. You may remember him best as the anchor on the CBS Sunday Morning News, but before that, he did a series for CBS called "On the Road with Charles Kuralt." Walter Cronkite liked to end his news on Fridays with a Kuralt piece. After reporting about Watergate and Vietnam, Cronkite knew his audience wanted to hear some "good news." Kuralt brought them stories about people. Ordinary people doing something extraordinary with their lives. As a high school kid growing up in Dallas, Texas, I never missed an episode. When I was 18 and a freshman in college, I got a job as a "gopher" at the Dallas CBS affiliate, KDFW-TV. I would "gopher" this and "gopher" that, but I also learned how to use a Bell&Howell Film camera and got pretty good at it. In three months time, they hired another gopher and gave me a job as a news photographer. One Sunday afternoon in March of 1970, I was sitting around the newsroom waiting for a wreck or something so I could go out and shoot some 16mm film, bring it back to the station and process and edit it and put it on the evening news. A call came in about a possible drowning at an area lake and I was Johnny On-the-Spot. Since there was no reporter available to do an interview with the kids they thought had drowned (they were found clinging to a tree where they had been all night long), I set up the camera on a tripod, aimed it in the general direction of the kids and did the interview myself. Then I did a "stand-up" the same way and son-of-a-guy if they didn't use my news "package" on the air. Bob Phillips the reporter was born. From then on, I did my own photography and reporting on stories, what they call in the business a "one man band." At first, I stuck to the hard news stories that every news director likes to see on his news, but on weekend shifts I would often do stories about ordinary people, just like the ones my idol Charles Kuralt was doing on the network. Well, not just like the ones Charlie was doing. His were incredible. Mine were the product of a kid wannabe. But I was learning the ropes and having a great time doing it. Then, in 1972, after pleading with management for months, they finally let me and a ragtag bunch of reporters and photographers try an idea we had. We thought we could do stories in the Kuralt vein but, instead of airing them on the nightly news, package them all together on a weekly half-hour show. "Go out and do one ," the news director said. I'm pretty sure he thought it would flop and that would be all he'd hear of that idea. Honestly, we thought it would, too, but at least we'd get to do that one episode and have a lot of fun. So, on the first Saturday of October 1972, the first episode of "4 Country Reporter" went on the air. It's been on the air ever since that time. About a year after we started our program, I got a call from my idol Charles Kuralt. At first, I thought it was a joke the guys at the television station were playing, but there was no mistaking that voice of Kuralt's. "Bob, you do the best copy of what I do I've ever seen," he said. He may not have meant it that way, but I thought that was quite a compliment. We met, ate chicken fried steak together and became friends. We often shared story ideas and even did promotional pieces together ("Phillips and Kuralt, only on Channel 4"). He was a real sport to share his techniques, his ideas and his spotlight with the likes of me, a kid who just wanted to be like him. In 1986, I left that television station and started producing the show, re-titled "Texas Country Reporter", out of my own production company. The other reporters and photographers who started out working with me on the show had long ago tired of the "fluff reporting" and had gone back to hard news, but I stuck with it. We syndicated the program in every market in the State of Texas and the show is still on in all those markets today. But a couple of years ago an interesting thing happened. A man named Patrick Gottsch called me asking if he could air my programs on something called RFD-TV. "It's a new channel that is just for folks in rural America," he told me. "Heck, I've been reporting on rural Texas for almost 30 years," I told him. "That's why I want your shows," he said. Patrick Gottsch and I ended up working together to launch RFD-TV. I thought he had come up with an incredible idea to offer a special channel to some of the hardest working, yet least recognized folks in the country. My company, Phillips Productions, still helps out with some of the logistical issues of running a television network, but traveling the back roads of Texas is what I still love…and what I still do. 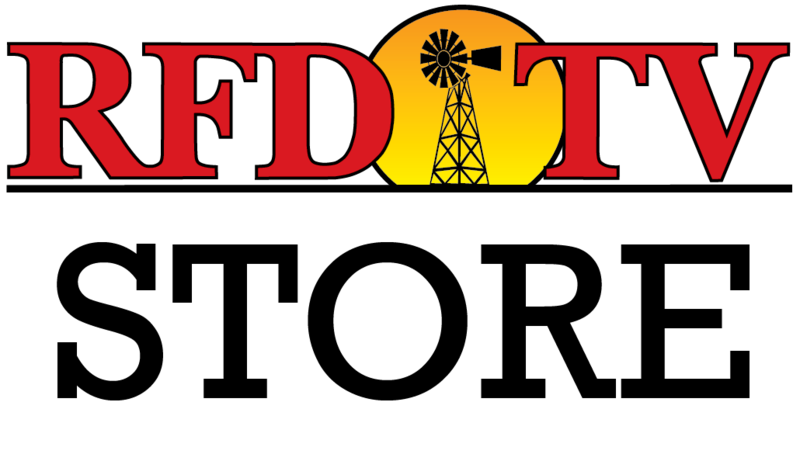 You see the result today on RFD-TV. If you haven't watched our show, well, it's just stories about people you've probably never heard of before and possibly will never hear of again. Ordinary people who often are doing extraordinary things with their lives. Hey, come to think of it, that sounds a lot like someone else I know. Here's to you, Charles Kuralt. Thanks for pioneering the idea of reporting from the backroads … and for sharing that idea with me.